Perfect solution for people with 2 or more mobile devices. 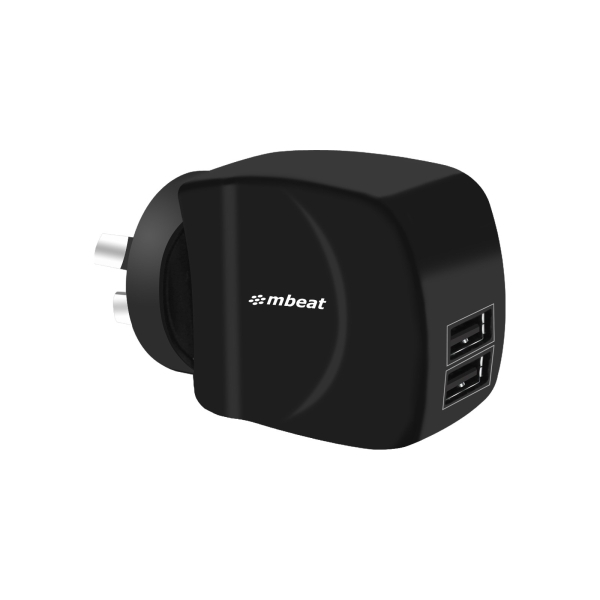 The mbeat® Gorilla Power Duo 3.4A Dual USB Ports Smart Charger can simultaneously detect and charge the devices at the safe charging speed. 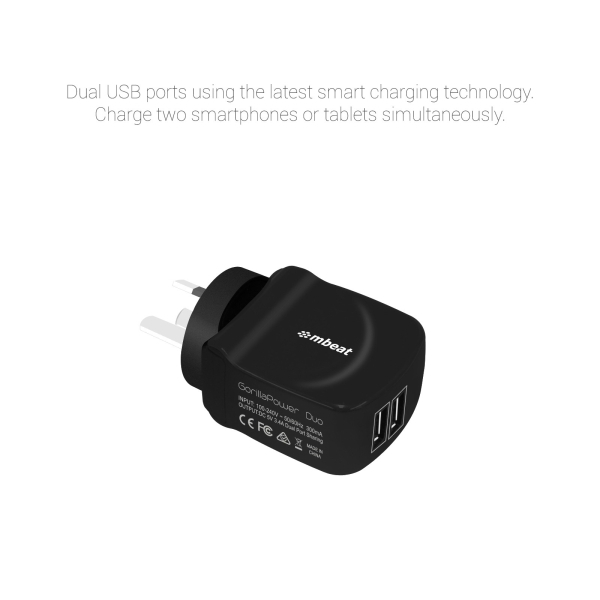 The device is built-in with the latest smart charging technology, which give the charger the auto detect the requirement on the connected devices and deliver optimised and safe charging output to each devices according to their requirement. 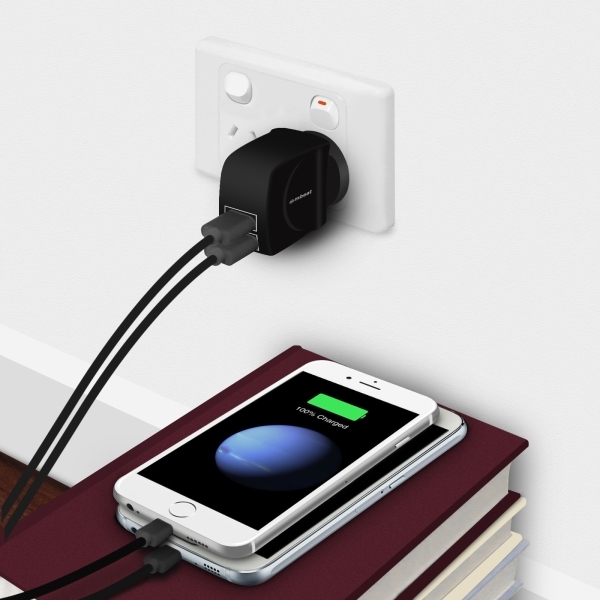 Comes with dual USB output to charge 2 devices simultaneously. Made in compact and portable design.Ideal for people who are always on the go.